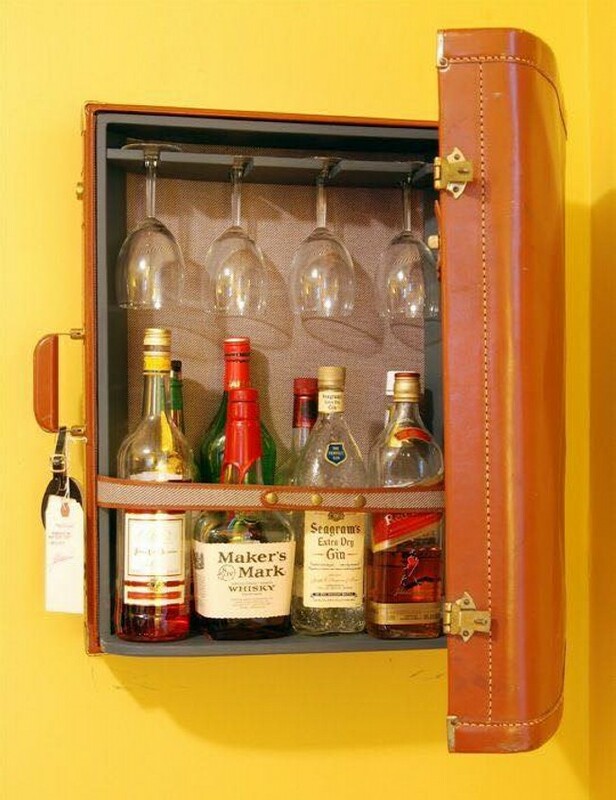 How does it sound to repurpose your old suit case? 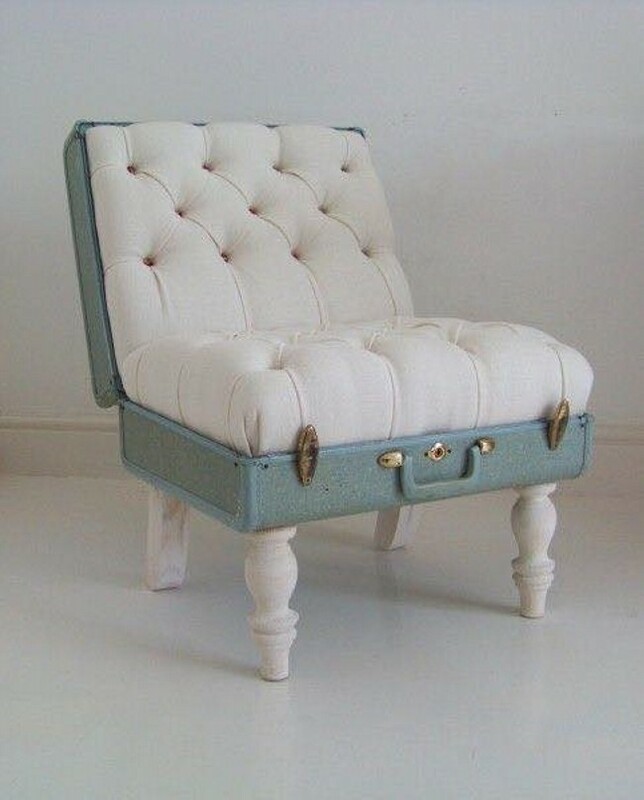 Does it sound a bit impractical? If it does, then still let me assure you this idea is not childish or freaky. 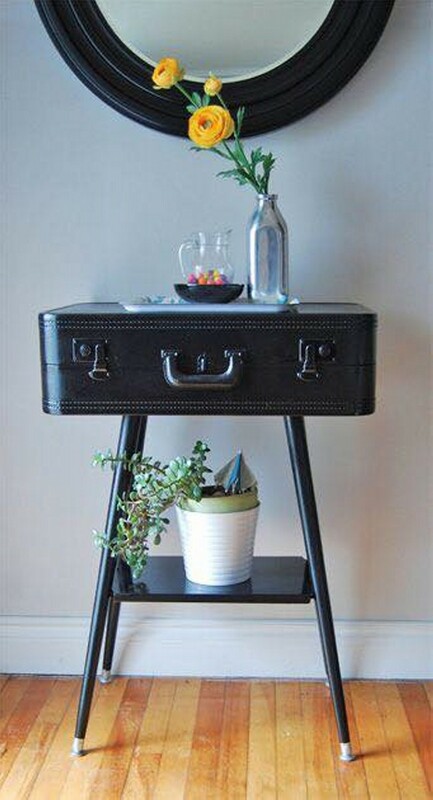 Ideas to repurpose old suitcase are not only smart and intelligent, but they also help make your home more interesting and beautiful. 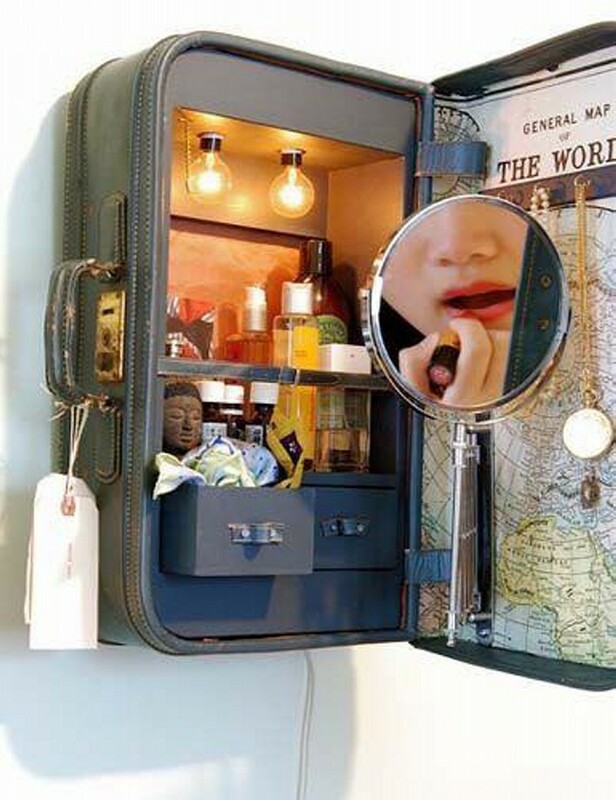 And if you love shopping then you are going to love these ideas more because these ideas to repurpose old suitcase are perfect excuses to check out your favorite thrift stores. 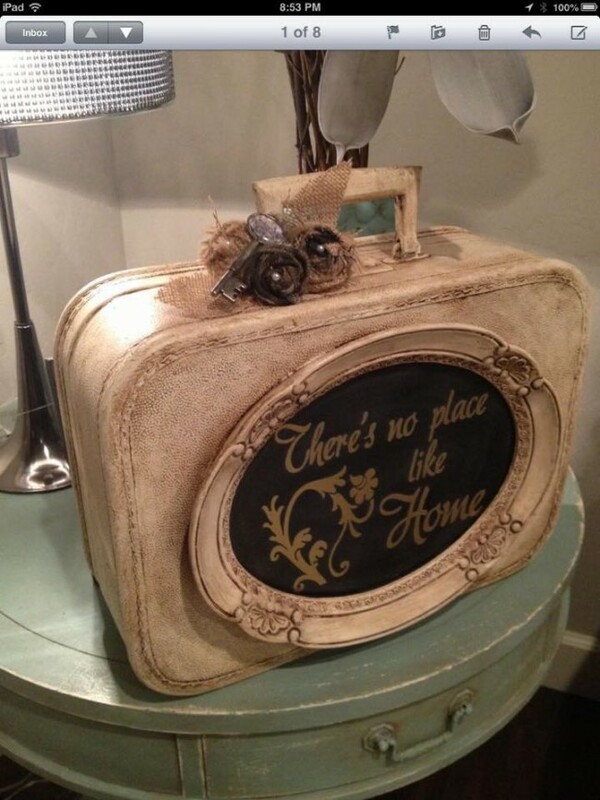 So happy luggage hunting and crafting. 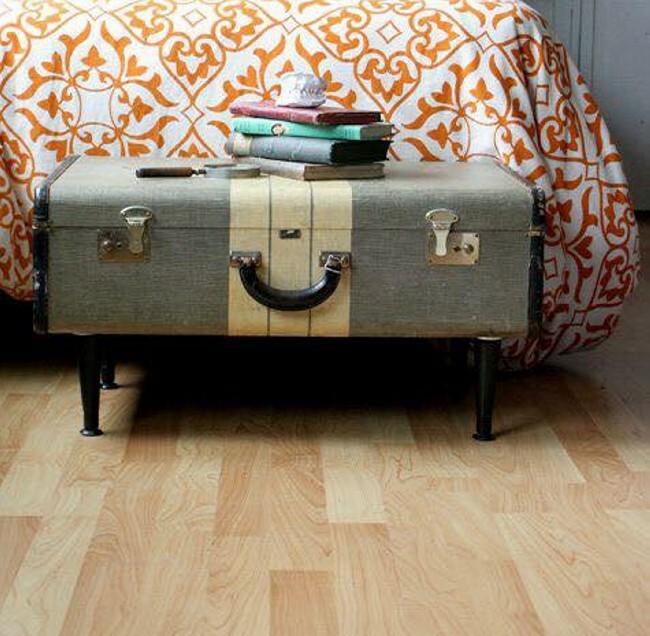 Suit case is a symbol of travelling, so if you are a regular traveler then you must would have piles of suitcases. But you keep on changing the old ones with new ones. 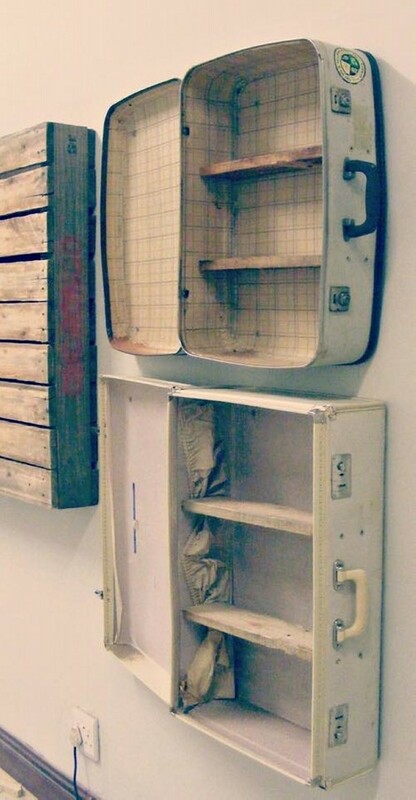 Now here is a great opportunity to repurpose old suitcases. 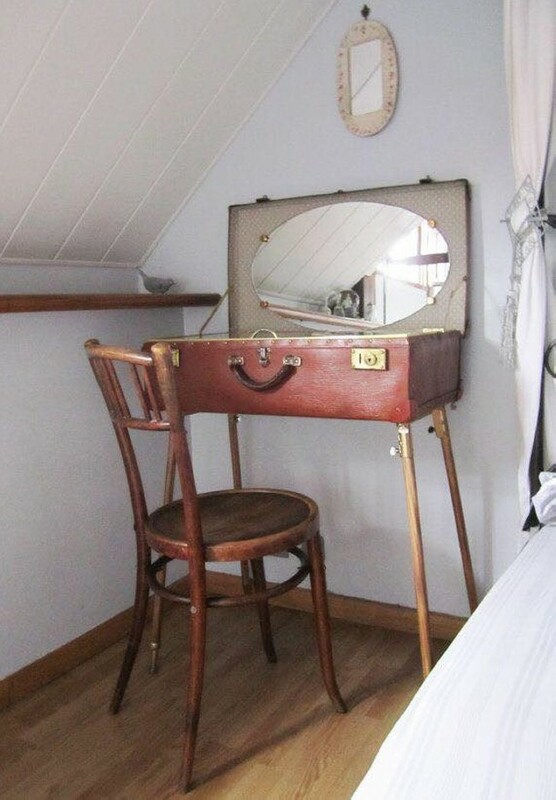 Though the suitcases are used only a few times during the year. So it makes this fact pretty obvious that they are going to serve you for so many years, as they deteriorate very slowly. But it also means that one day you certainly would have to change them. Because they never stay up to date, and finally you have to get the one which is quite trendy. Though this sounds a bit inconvenient, but as a matter of fact you have to get rid of the older ones sooner or later. 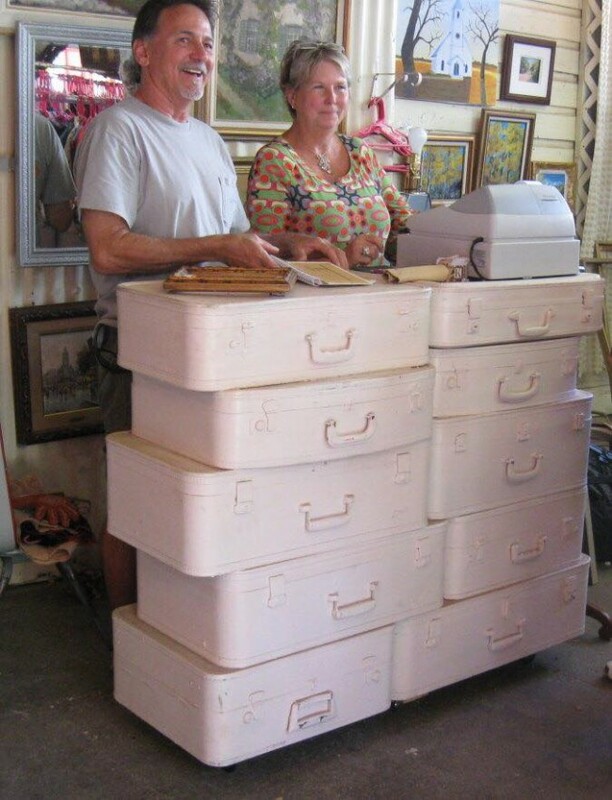 So the best option for you is to repurpose the old suitcases. 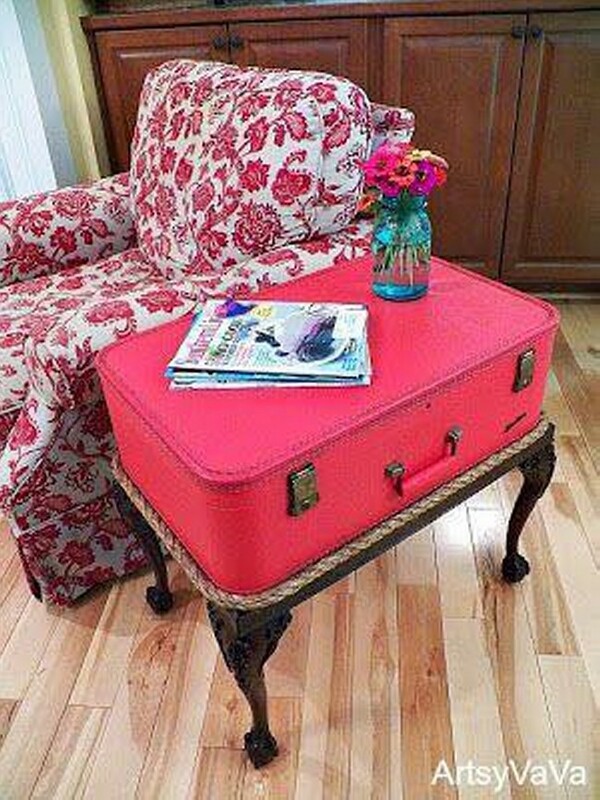 Like in our very first project you can see a pink old suit case being used as a stylish side table where you can place light accessories while sitting by side. 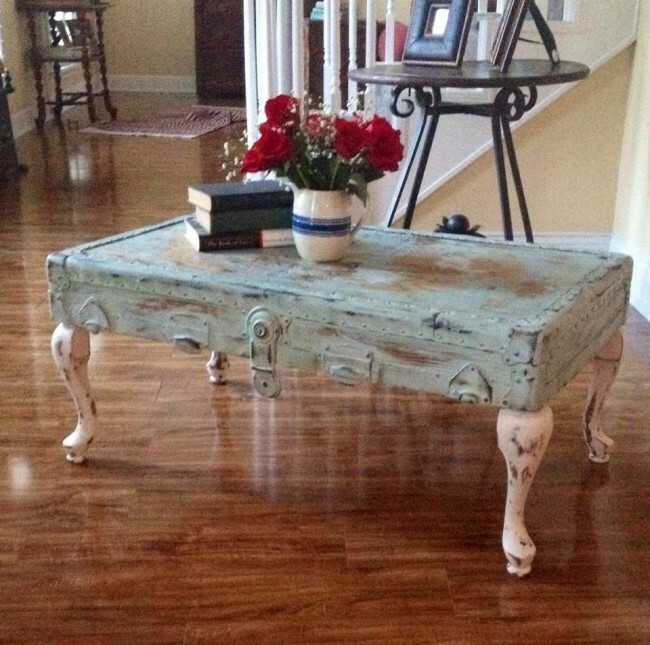 In another project you can see it as a stylish coffee table which is pretty complimentary to the other furniture items. 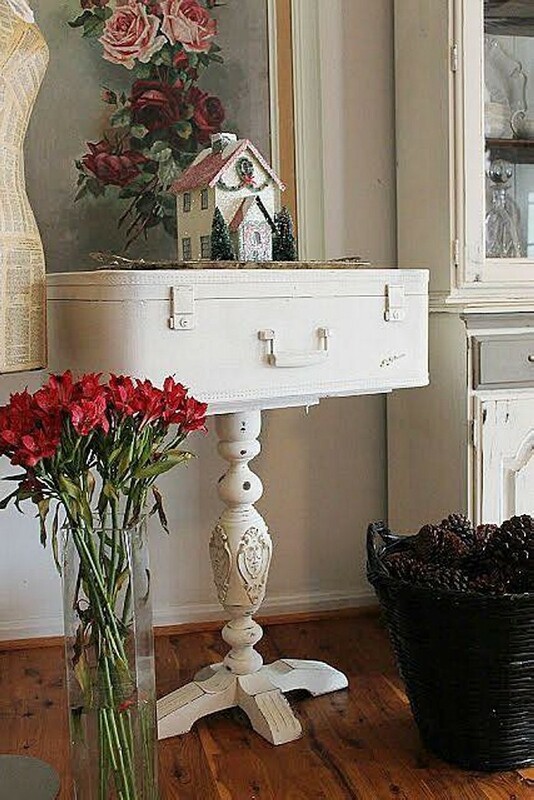 Next it is used as a vanity box, and then a bar bag where you put your favorite wine bottles and glasses.